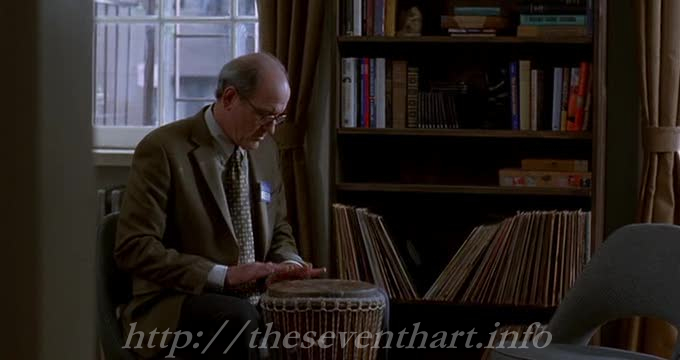 The Visitor released in 2007 but Richard Jenkins is nominated for this year’s Oscars, making it a close race between three great performances. He may lose out, but not without this massive fight. His timid performance reminds one immediately of Gene Hackman’s in The Conversation (1974, not to mention the penchant for the musical instruments) and this perhaps may make the voters a bit skeptic. The visitor follows an aging professor whose wife has just passed away. He seems to be the perfect loner. He teaches world politics and affairs, but is soon going to learn what he truly knows. He writes books on his subject and can never take credits for something he hasn’t done. He tries to learn the piano, in vain. Things turn for good when he discovers an African couple staying in his apartment located in another city. What begins as a sympathetic gesture by the professor turns into a deeper relation and goes on to become thick friendship. There is some great writing at work here and that doesn’t take away the credits from the production design team. As the film nears its end, one begins to question thoroughly who the title refers to after all. The Visitor is a film that knows its cultural identity and, along with Gran Torino (2008) and Frozen River (2008), is the kind of film that should define contemporary American cinema. Save the last 20 minutes or so, The Visitor is decidedly an achievement of great proportions. The climactic portion of the film, so very unfortunately, takes side and tries to gain sympathy for its characters. What it did with its quiet brilliance, in the larger part of the film, is put under threat with this needless change of tone. The question it handles is a very sensitive one – not only bound by individualistic morals but by the rules of the law, economy and society. Sadly, The Visitor tries to simplify it all.